We can Service your New vehicle without invalidating the manufacturer’s warranty. 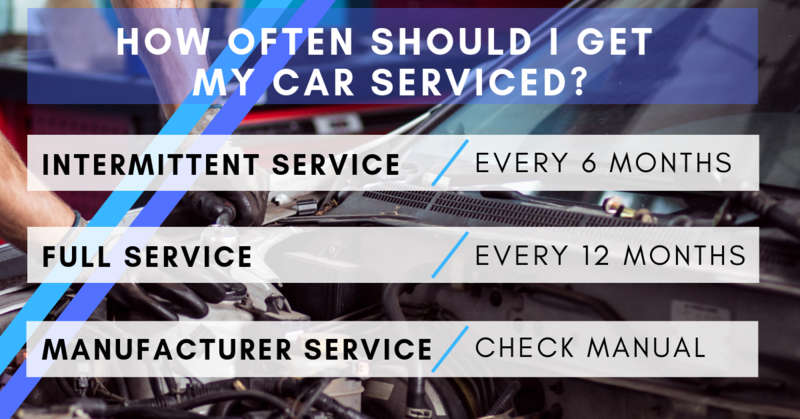 Why does my car need a service? Having your car serviced regularly can help keep you and your family safe on the road. Regular servicing also reduces the risk of breakdown, increases your fuel economy and can improve the resale value of your car. 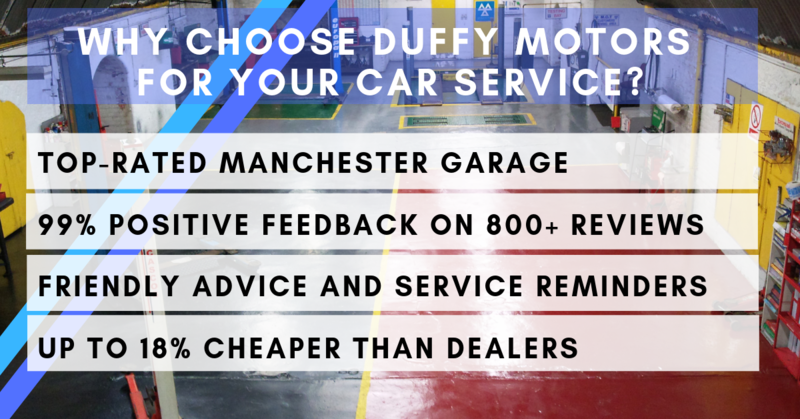 Operating from our Manchester City Centre garage, Duffy Motors offers a full range of servicing options including full and interim services. For advice, or to book in your next service, call: 0161 834 4168. Some car dealers claim that your new car needs to be serviced through them. This isn’t true. Anti-competition laws mean that independent garages can access the same technical information as manufacturer dealerships. Independent garages like Duffy Motors are cheaper than franchised dealerships and use Original Equipment (OE) guaranteed service parts. Duffy Motors is also a member of the Good Garage Scheme and can service your car without invalidating the manufacturer’s service warranty. Typically, cars require servicing once every year or every 10,000 miles – whichever comes first. This is only a rule of thumb though. Different manufacturers and different models have different dates. Check your car’s owner’s manual for a more detailed service schedule. Depending on its age and condition, your car might need more regular checks – particularly on things like tyres, brakes and oil. Asking a mechanic to check these regularly will help keep your car safe and healthy. You can get some of these basic checks completed at an intermittent service, in between your main services. Your car’s service schedule will ultimately be determined by the manufacturer. Some manufacturers prescribe a large service every two years with smaller services in between. What if I skip a service? When money is tight, it can be tempting to skip your car service. But if you don’t get your car serviced, then you could much higher bills in the future. Regular servicing helps keep components in your car firing properly. If a component like the diesel particulate filter or engine fails because it hasn’t been serviced, then the replacement bill could run into the hundreds or thousands of pounds. Occasionally, a critical component like a cam belt will need to be replaced as part of your service. These components may seem expensive, but if they fail while you are driving, then the repair bill can easily run into the thousands. Not getting your car serviced can also be dangerous. If your tyres or brakes fail then it can be a real danger to you, your family and other road users. Remember – you don’t need to take your new car back to the main dealer for its service! Good Garage Scheme enables you to choose a garage you can trust, as all garages listed have been certified to ensure they perform services to a strict code of conduct. The Good Garage Scheme website http://www.goodgaragescheme.com/ enables Customers to leave feedback on their experiences. For more information, or to book a service, please contact a member of the garage team. Call: 0161 834 4168.